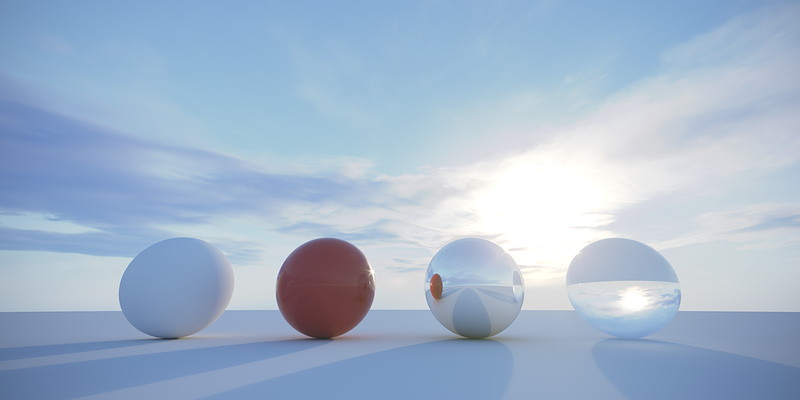 These HDRI skies work great for lighting your 3D scenes. Winter Skies is one of my favorite collections. If you need that wintry look than these HDRI maps are just for you! Just add some snow and then everything will really sparkle! Import these awesome maps into your favorite 3D software and use them to illuminate your CG projects. We are sure that you'll be impressed! Don't forget that if you need to composite Santa Claus flying through the clouds there are perfect alpha channels for each sky included! Please note upon ordering you will receive a special unique download link within 24 hours of your purchase. These assets are very large in file size and require a 3rd party delivery system. Winter Skies Scene renderings of all 10 (14K) spherical maps. Not just for exteriors. 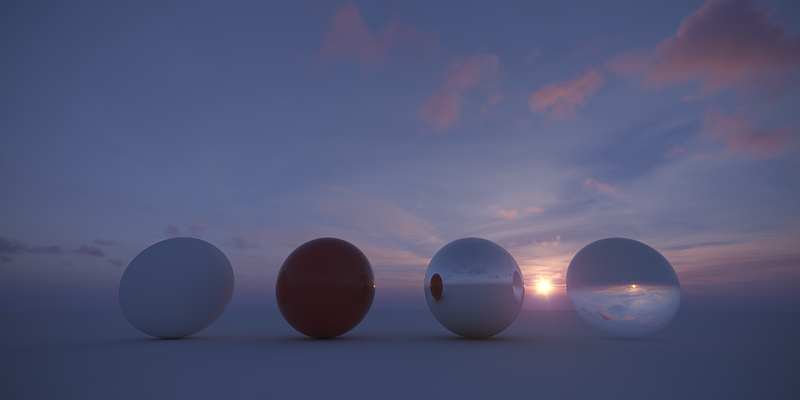 CG HDRI is only light source in these renderings. Some cool spheres floating in water.